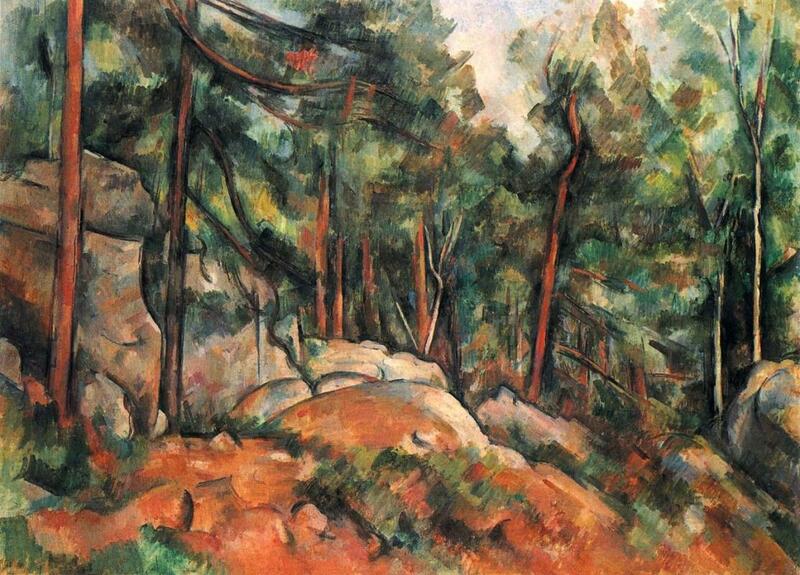 This painting by Paul Cezanne uses simplified shapes to compose a forest scene. He works oranges against blue-greens to make the orange rocks and tree trunks pop out. The tree trunks also give the painting a nice rhythm.